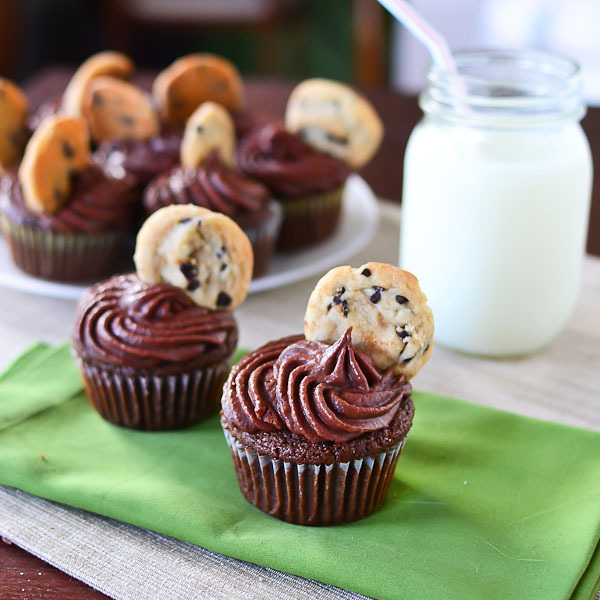 In case you were wondering, moist chocolate cupcakes stuffed with chocolate chip cookie dough and frosted with the richest, creamiest, most chocolate-y buttercream you’ve ever tasted = super amazing. Unsurprisingly, these cupcakes were a huge hit at work. 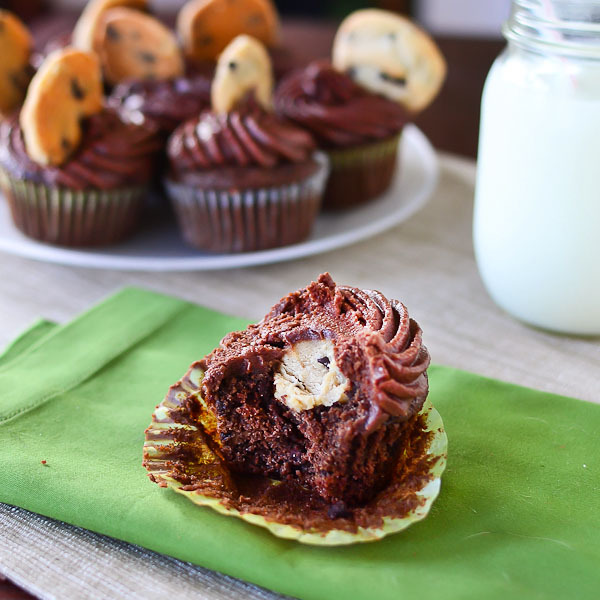 People raved about the frosting, and everyone loved the surprise cookie dough center.